Zhuo Tan, an alum of New York Film Academy’s Acting for Film Workshop, recently co-starred in the Chinese film, Dying to Survive. The comedy-drama is making headlines across China and the global filmmaking industry as one of the most successful films in the history of Chinese cinema. In May 2015, Zhuo Tan attended the New York Film Academy’s 4-Week Acting for Film workshop in Los Angeles, California. Dying to Survive isn’t Tan’s first role in a prominent film — she has also starred in the well-received films Wrath of Silence and Hello! Mr. Tree. She also appeared in Spring Fever, which won awards both at the Golden Horse and Cannes Film Festivals. In Dying to Survive, Tan plays a single mother. 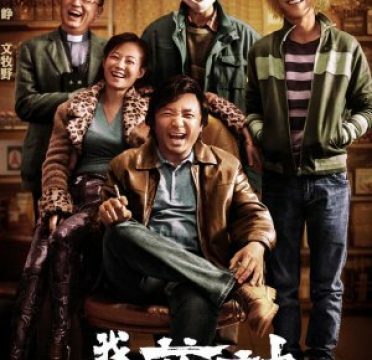 The comedy-drama is based on a true story, about a leukemia patient named Lu Yong who smuggled illegal medicine into China to help over a thousand other cancer patients. The film was directed by Wen Muye, who co-wrote the screenplay with Han Jianü and Zhong Wei. It was produced by Ning Hao and the movie’s star, Xu Zheng. Also starring in Dying to Survive are Zhou Yiwei, Wang Chuanjun, and Zhang Yu. Dying to Survive was an immediate hit with audiences, grossing nearly $50 million on its opening day alone, including preview screenings. In its opening weekend, it nearly quadrupled its take with just shy of $200 million in receipts, the fourth biggest opening weekend in China ever. As of this writing, its box office intake is $367 million, numbers tough for any film — even in Hollywood — to amass. The film has also been received well critically, with one reviewer saying it “might be China’s best movie of the year,” and who also credits Dying to Survive for “tackling difficult social issues.” This latter trend is growing — and paying off — for Chinese cinema, which has been around nearly as long as the medium of film itself, but of late has been coming into its own as part of both the global market and cultural landscape. 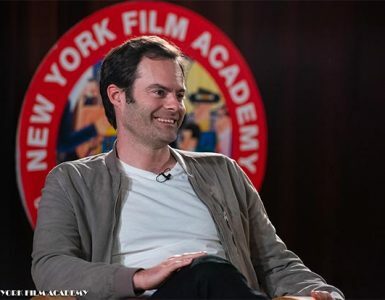 China’s influence and importance to the cinematic arts is exactly why the New York Film Academy (NYFA) has established a presence there, having offered local workshops in Shanghai and Beijing. This summer, NYFA is hosting two workshops in the capital city. A 4-Week Filmmaking Workshop is currently in session this July, and another 1-Week Workshop will commence later in the summer. The Beijing workshops not only provide state-of-the-art equipment and instruction from experienced, working filmmakers from around the world, but allow students from many diverse backgrounds to work together to craft their art. With the backdrop of the rich cultural heritage offered by Beijing, these students can learn the techniques of filmmaking in a collaborative environment, and share and gain new perspectives from one another to tell their own stories. The Beijing workshops can also serve as stepping stones for these students in their journey as filmmakers, including to longer, more intensive programs at New York Film Academy’s other campuses, including Los Angeles. At the Los Angeles campus, where Zhuo Tan studied acting, students receive their education in the heart of Hollywood and can even hone their craft on the world-famous Universal Studios backlot. The New York Film Academy congratulates alumna Zhuo Tan on her latest role and looks forward to seeing her future successes! If you are interested in attending the New York Film Academy, you can find more information here.